Behind every glass of beer is a series of steps that deliver its unique taste. Fermentation, the process during which sugars are converted into alcohol, is one of these important steps. With the help of COMSOL Multiphysics, we can study the fermentation process, identifying ways to optimize its efficiency and serve up a better-tasting beer. Living in Boston, one of my favorite things to do when I have some downtime is visit the city’s many local breweries. 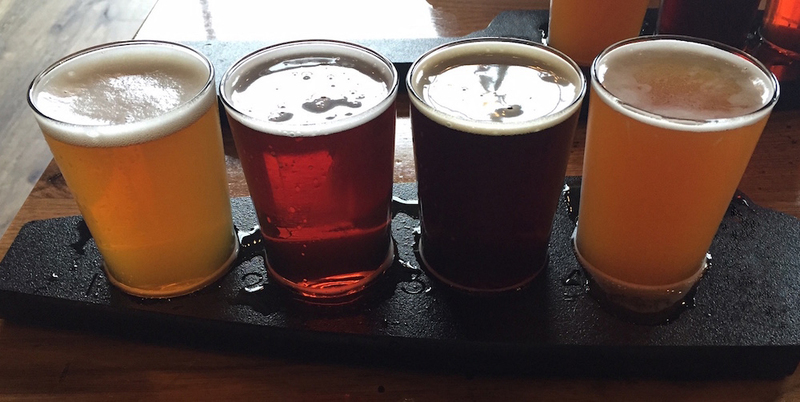 While the beers themselves give you a taste of the city (pun intended), the tours offered at these breweries offer a deeper look at how the flavors of the beers are intricately crafted. This has given me a whole new appreciation for the art and science behind brewing beer. And with such appreciation has come an interest in learning more about the beer brewing process as a whole. Enjoying some samples of local beer at a Boston brewery. 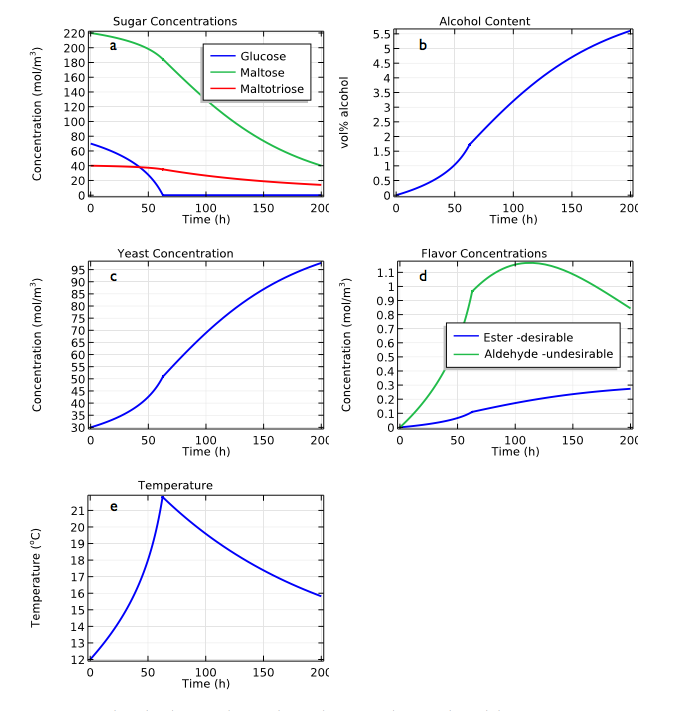 In an earlier blog post, my colleague Fabrice Schlegel discussed the different steps behind brewing beer, as well as simulation’s role in improving the process. Today, we’ll focus on one specific step — fermentation — and how COMSOL Multiphysics can be used to model this phase. First, the barley grains are soaked and dried to form malt, and then the malt is boiled and mixed to convert the released starches into a sugary liquid called wort. After it is boiled with hops, and perhaps other flavorings, the wort is cooled down via a heat exchanger. Cooling is necessary to prepare the wort for the next stage of the brewing process, which is — you guessed it — fermentation. Fermentation is a process that involves converting sugar into alcohol. Such reactions usually occur in a closed tank that is under anaerobic conditions, with the timeframes varying depending on the type of yeast that is used as well as the fermentation temperature. Once the wort has been cooled to a temperature of less than 20°C, yeast is added into the mix and the wort starts to ferment. As the conversion takes place, we are left with a product that we can now refer to as “beer”. Fermentation tanks. Image by Færder Mikrobryggeri — Own work. Licensed under CC BY 2.0, via Flickr Creative Commons. When it comes to how fermentation proceeds, the yeast type, temperature, and initial sugar content all play an important role. 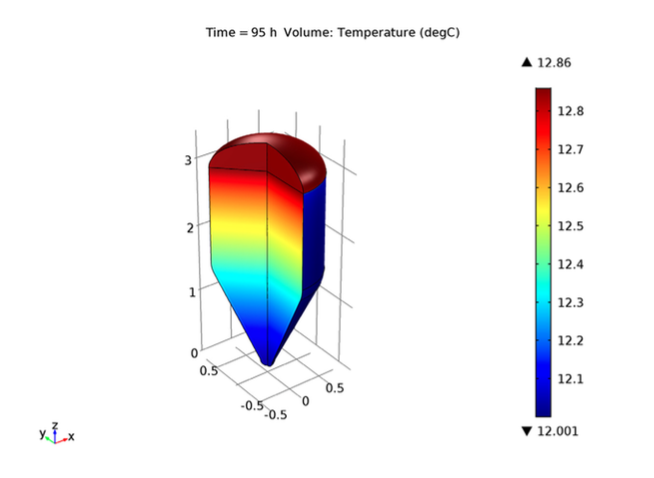 Our Fermentation in Beer Brewing tutorial model demonstrates how COMSOL Multiphysics can be used to predict such an outcome. The analysis presented today involves two different model setups. The initial setup uses the Reaction Engineering interface to model fermentation, assuming a perfectly mixed type. The other setup, in comparison, analyzes fermentation in a spheroconical tank geometry, accounting for mass transfer, heat transfer, and natural convection. Both of these models are centered on a selected yeast type that thrives at temperatures close to 12°C, which is ideal for brewing lagers. 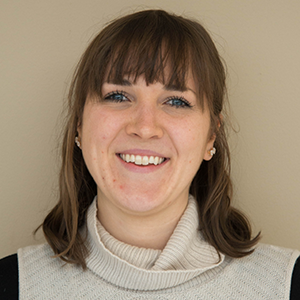 In addition to accounting for the different sugars (maltose, which is predominant; glucose; and maltotriose) in the analysis, two types of flavoring are included: ethyl acetate, or EtAc, and acetaldehyde, or AcA. EtAc (an ester) causes a desirable taste in beer, while AcA (an aldehyde) gives beer a poor taste. The mechanisms of the fermentation process rely on the yeast concentration, which is modeled as a free species, as well as the reaction rate. Yield coefficients are used as a means to compute product concentrations and correct alcohol production levels. Within this example, the gaseous and dissolved carbon dioxide are also computed. Note that the kinetics discussed here are the same in both the perfectly mixed and space-dependent models. Now that we’ve addressed the underlying reaction kinetics, let’s turn our attention to the perfectly mixed model. To solve this example, we use the Reaction Engineering interface, applying the Batch, constant volume reactor type at nonisothermal conditions. Water is included as a solvent, as it is assumed that the wort mixture has similar thermal properties. Featuring a temperature that is less than the initial temperature of the tank, a cooling medium is used during the fermentation process. The series of plots shown below illustrates the results for our initial model. Here, both the temperature in the cooling medium and the initial temperature of the tank are set to 12°C. The rate of cooling is 8 W/(m3K). Plots representing the simulation results for the perfectly mixed model. Over time, all of the various sugars decrease, while the alcohol content becomes greater than 5%. What does this mean for the taste of our beer? Because it will contain a large number of aldehydes, the beer will likely be quite poor in taste. To give it a better flavor, one option is to extend the length of time for fermentation. The aldehyde content will eventually pass over a maximum and begin to decrease. If you’re looking to reduce the aldehyde content at a faster rate, an alternative approach is to increase the initial yeast concentration. Additionally, we can see from the results that the increase in temperature that is initially observed corresponds with the fast glucose consumption. As the final plot indicates, all of the glucose has been consumed after 60 hours. Shifting gears, let’s now have a look at our space-dependent model. For the model, we opt to utilize a spheroconical tank, a common reactor where fermentation takes place. 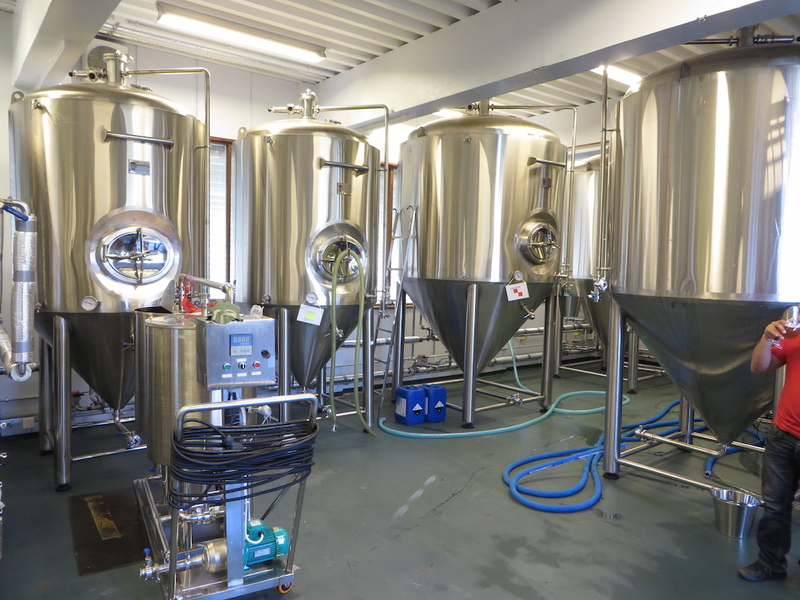 Some advantages of this tank design are that it enables yeast to easily separate from the liquid at the top or bottom of the tank and offers better temperature control. While tanks are sometimes simply placed in a cooled setting, the majority of today’s beer brewing equipment includes a built-in cooling jacket. 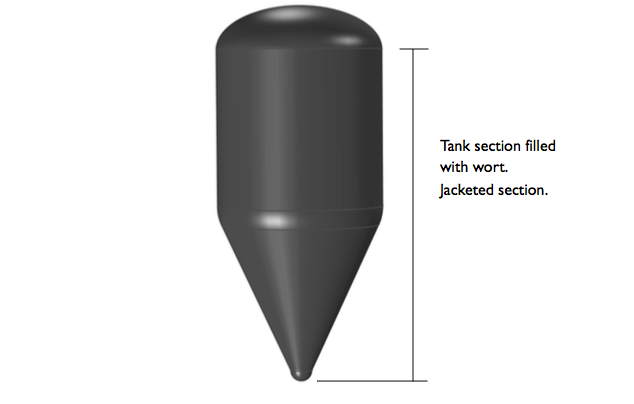 A schematic of the spheroconical tank used for fermentation. To create our space-dependent model, we use the Generate Space-Dependent Model feature. Because of rotational symmetry, it is possible to model the entire system in 2D via an axisymmetric geometry. The element of cooling is implemented as a Convective Heat Flux boundary condition, one driven by a temperature difference between the cooling medium and the tank. By coupling three interfaces — the Transport of Diluted Species interface, the Laminar Flow interface, and the Heat Transfer in Fluids interface — we account for natural convection as the sole source of mixing. Temperature is the only property that is assumed to influence the density of the mixture, and a source term is added to the Laminar Flow interface to simulate this. Let’s take a look at the simulation results. On the left, we have a plot representing the maltose concentration within the tank after 200 hours. On the right, we have a plot representing the temperature within the tank after 95 hours. The findings from both of these studies suggest a well-mixed system in the tank. Simulation results for the space-dependent model. Left: A plot showing the maltose concentration within the tank after 200 hours. Right: A plot showing the temperature within the tank after 95 hours. The following set of plots corresponds to the recirculation that stretches from the tank wall around the central area of the tank. Such recirculation, a result of natural convection, offers an efficient way of mixing the wort during fermentation. Looking at the plot on the left, note that there are several ripples shown. This is a sign of an unresolved mesh. A better resolved mesh, however, does not have a large effect on the species concentrations and temperature. Further, it significantly adds to the computational time. When comparing the cooling efficiency between the two models, the spheroconical reactor comes out on top, keeping the temperature near a constant of 12°C. Achieving the same process conditions within the perfectly mixed model would require increasing the cooling rate capacity by a minimum of one order of magnitude. 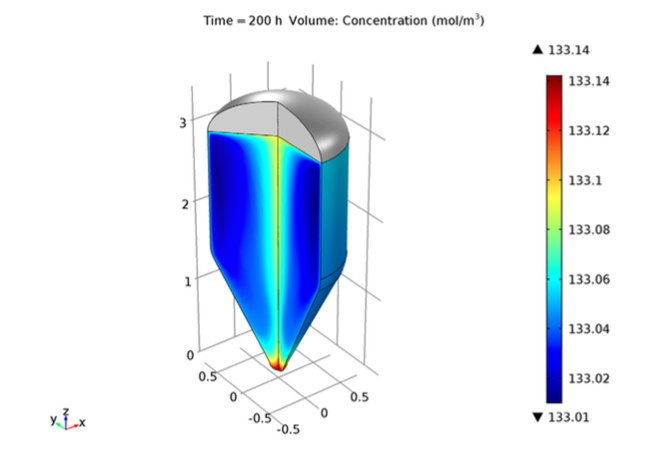 To obtain a product with the same properties as in the perfectly mixed model, fermentation within the spheroconical tank would need to be stretched out beyond 200 hours. The reward at the end is a higher-quality, and thus better-tasting, beer. Thanks for this post, I wonder if there is a step-by-step guide for this “tutorial”.